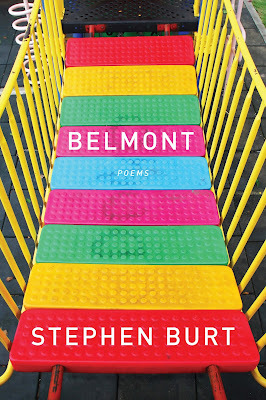 Eyewear is thrilled and delighted in equal measure to feature two new poems from the new Stephen Burt book, Belmont - from Graywolf Press. 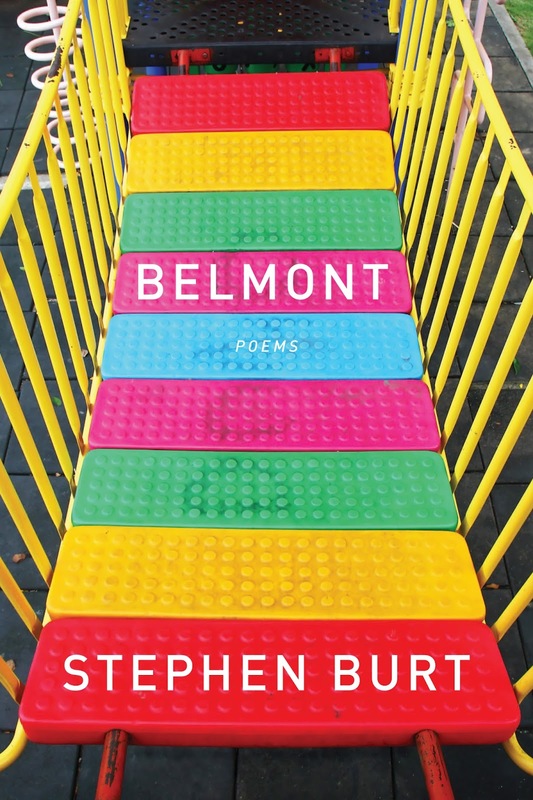 Burt is quite simply one of the best and most influential poet-critics in America today. His two previous books of poetry are Parallel Play and Popular Music, which won the Colorado Prize. He is also the author of several works of critical nonfiction, including Close Calls with Nonsense: Reading New Poetry, which was a finalist for the National Book Critics Circle Award in criticism. His essays and reviews have appeared in the Believer, the London Review of Books, the Nation, the New York Times Book Review, and the Times Literary Supplement, among other newspapers and journals. He is Professor of English at Harvard University, and he lives in Belmont, Massachusetts. In poems autobiographical information serves the same purpose as references to birch trees or happiness or Subarus. that I will never surprise anybody again. the volume and vibrations of the womb. Poems by Stephen Burt, copyright 2013. From his new collection, Belmont.